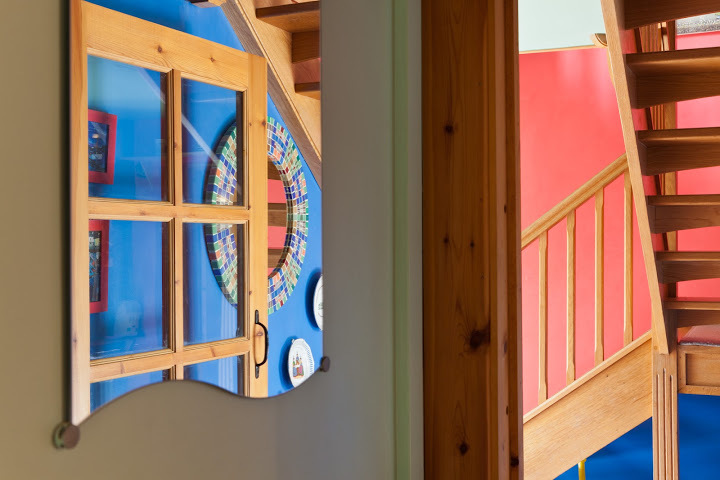 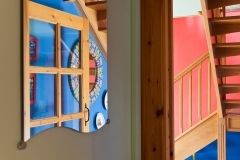 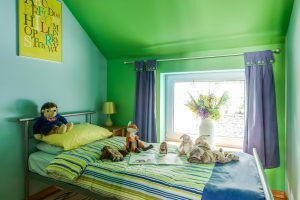 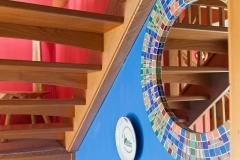 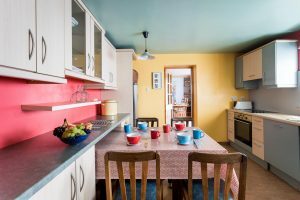 The Barn self catering holiday cottage was once our family home, it is colourful and contemporary in style with countryside views. 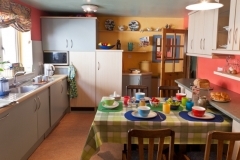 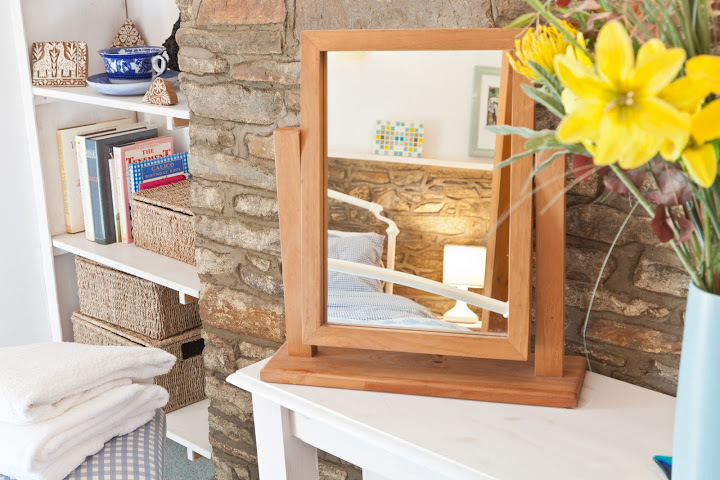 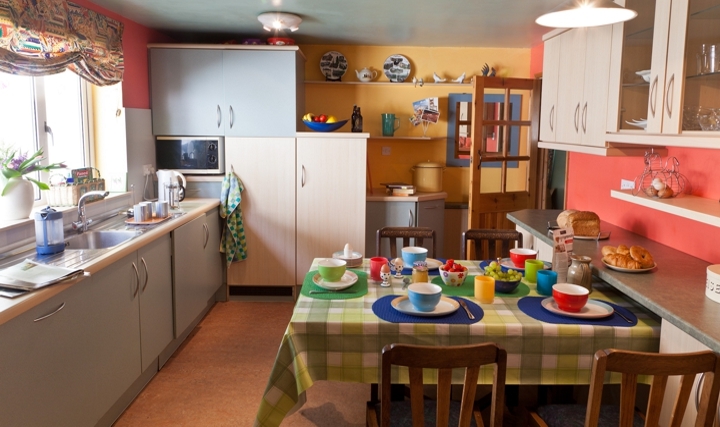 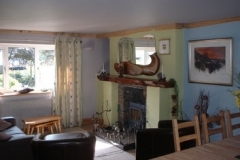 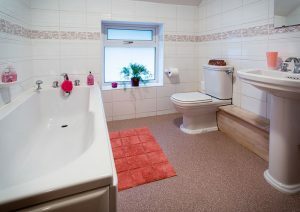 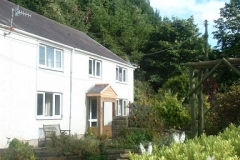 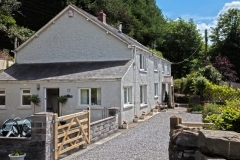 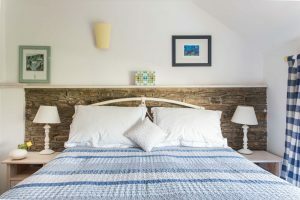 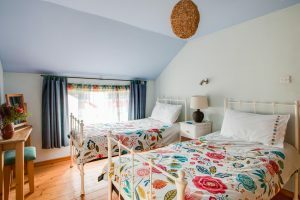 It is a 4* rated cottage which can sleep up to 6 people, often appealing to a large group of friends and larger families. 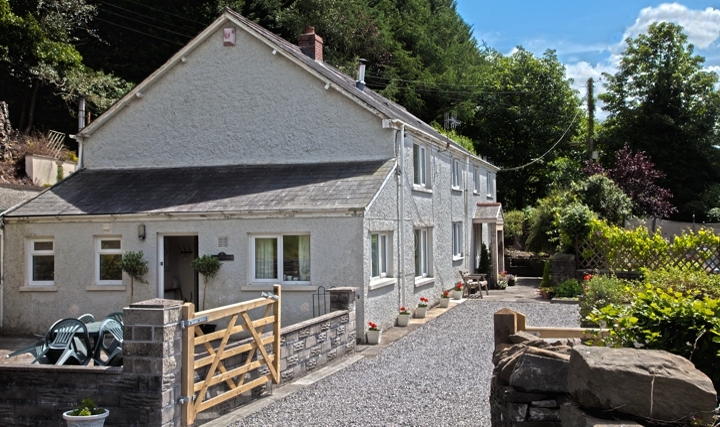 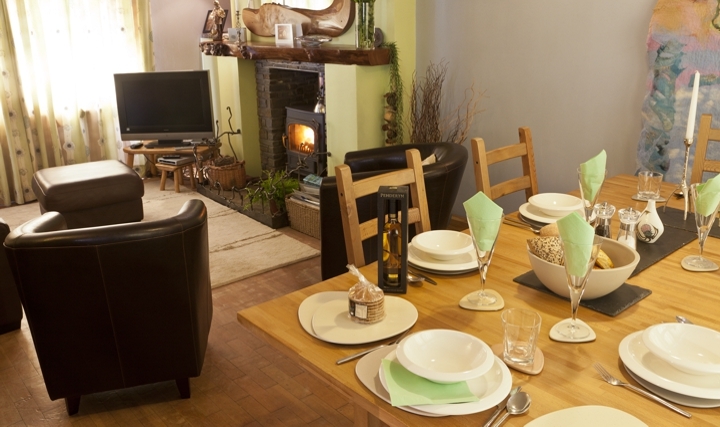 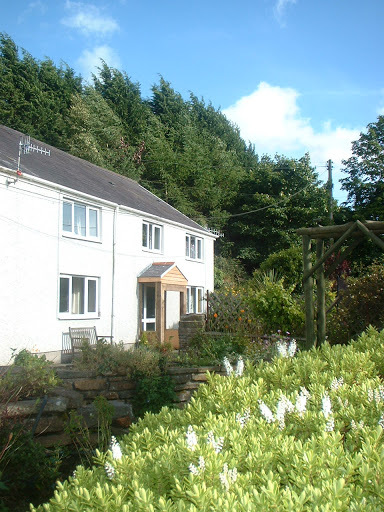 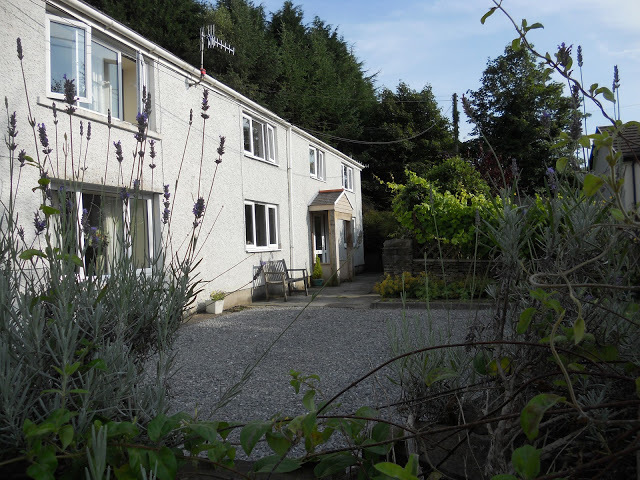 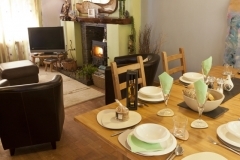 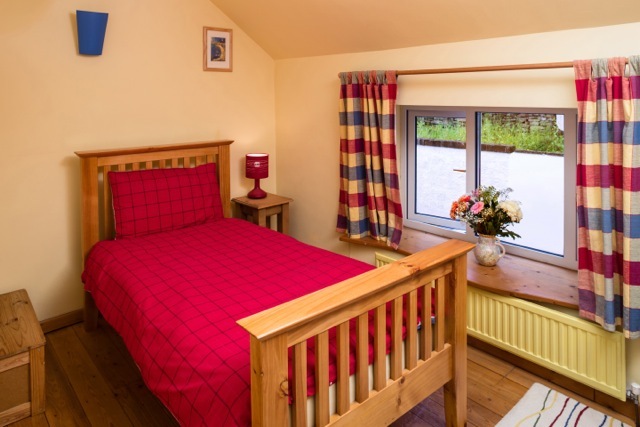 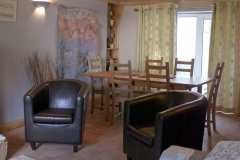 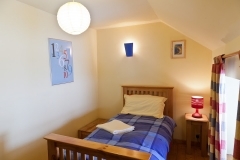 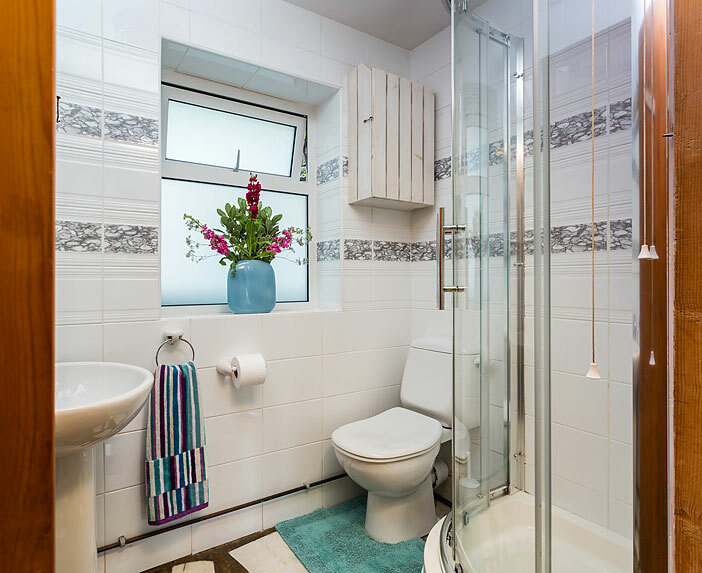 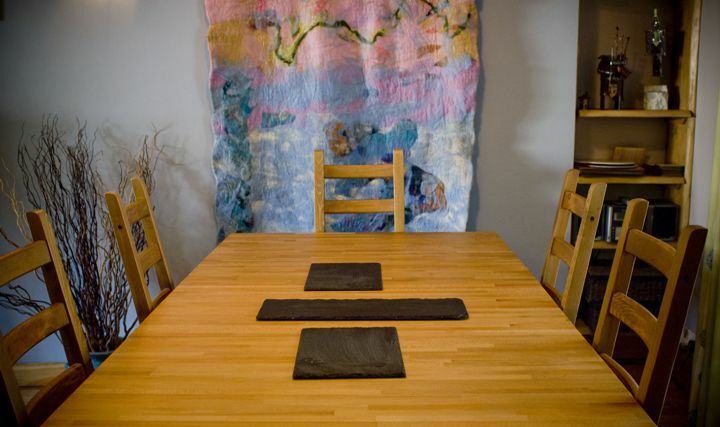 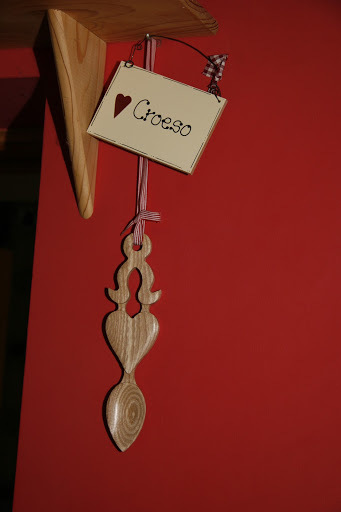 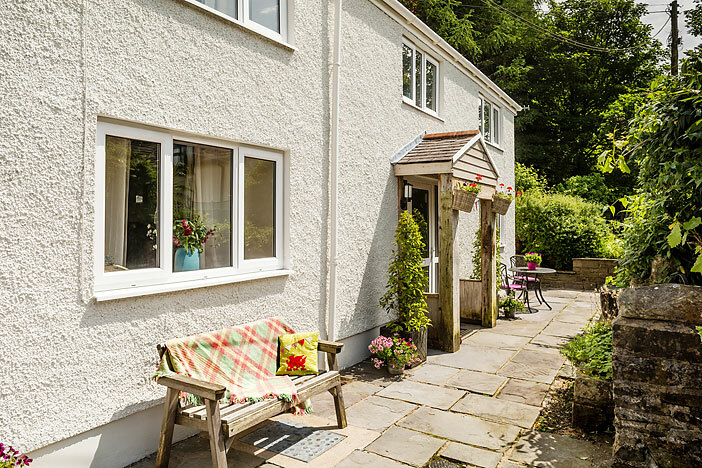 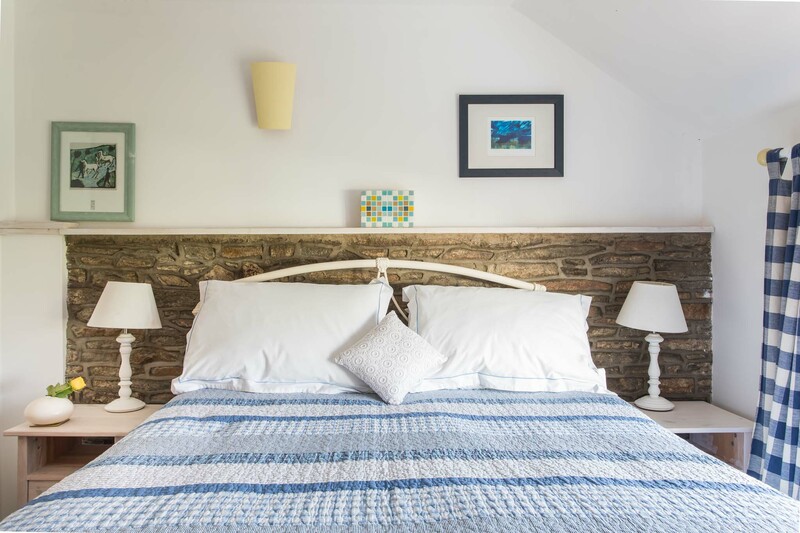 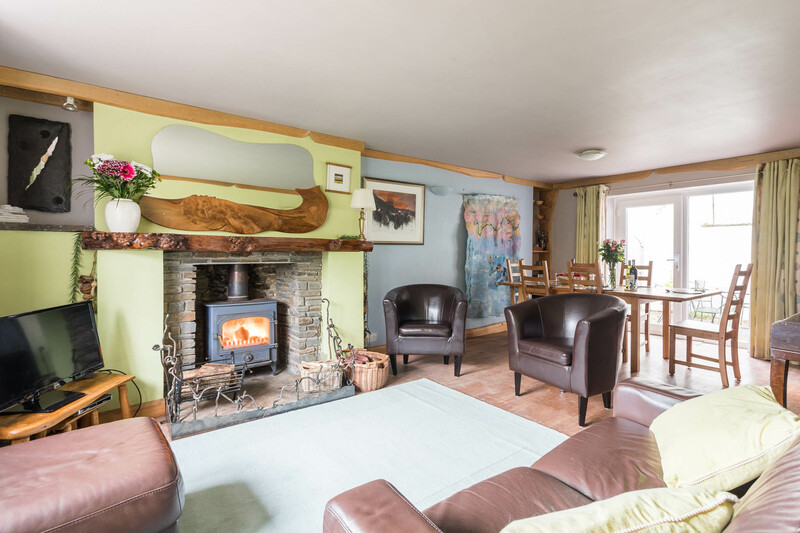 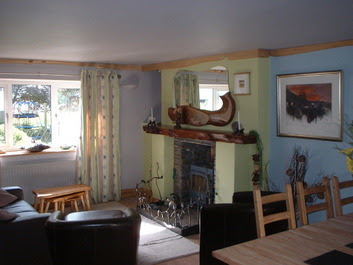 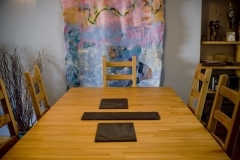 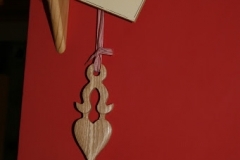 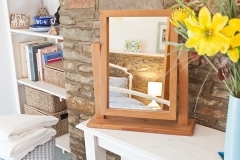 The cottage is fully centrally heated and will be pre-heated for arrivals on colder days. 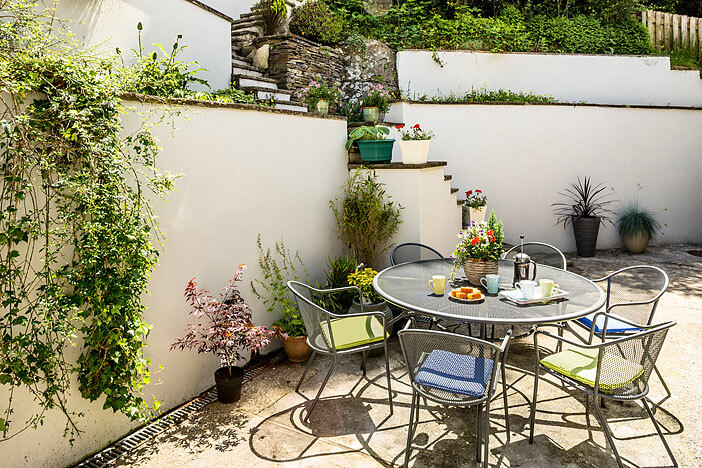 There is a Patio area to the rear of property with garden furniture and a BBQ. 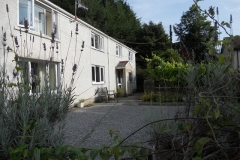 At the front of the cottage is a fenced lawn containing a small Wendy house for toddlers. 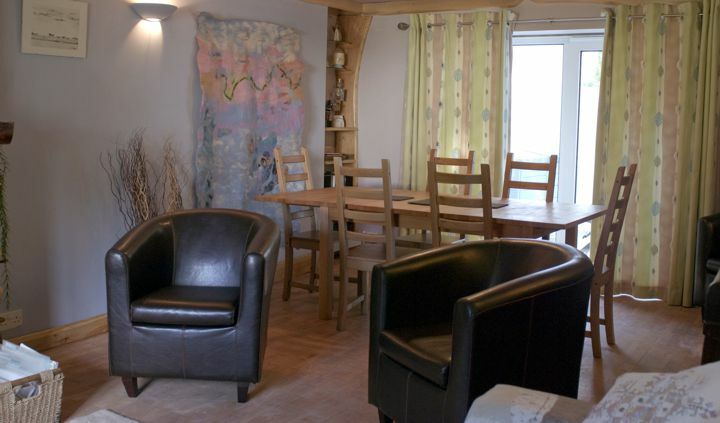 There is ample off-road parking and secure bicycle storage. 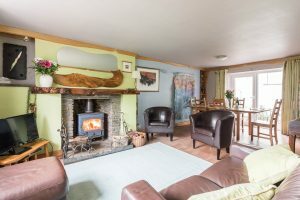 There is a spacious lounge with dining area with a Wood burner (firewood and a bag of logs supplied on arrival), LCD tv (and dvd) with Freeview. 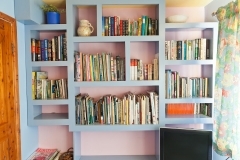 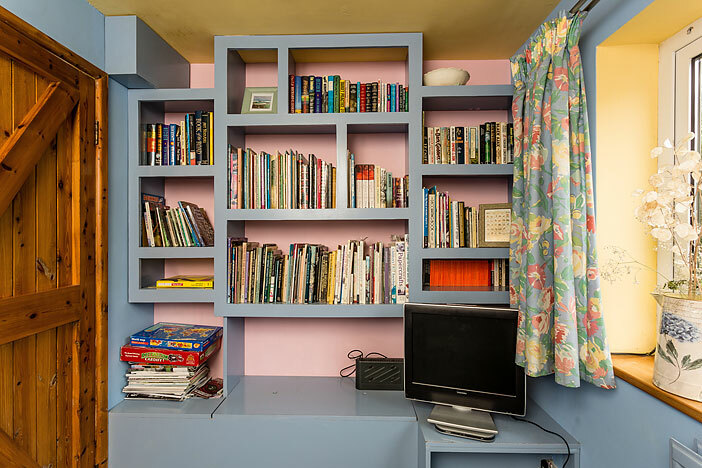 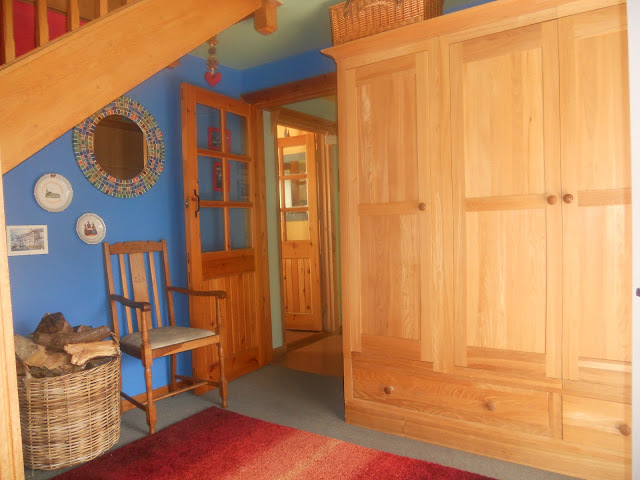 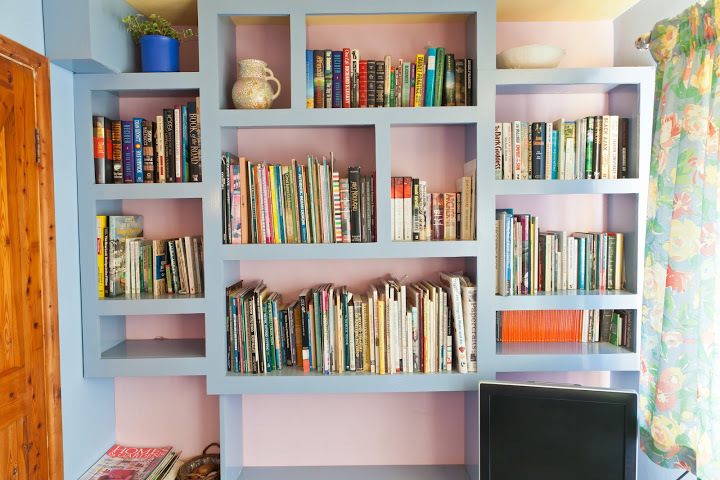 There is also a small “Cwtch” downstairs containing a variety of books and a small TV and DVD player. 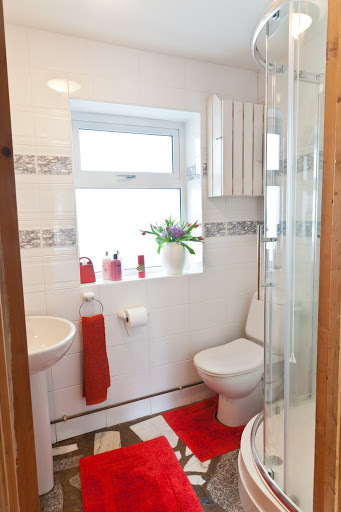 There is a shower and toilet downstairs. 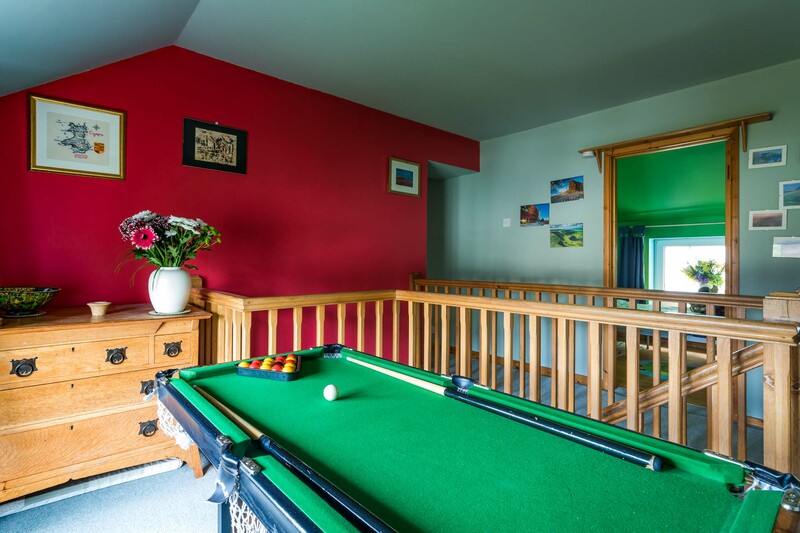 There are four bedrooms off a spacious hallway which includes a pool table. 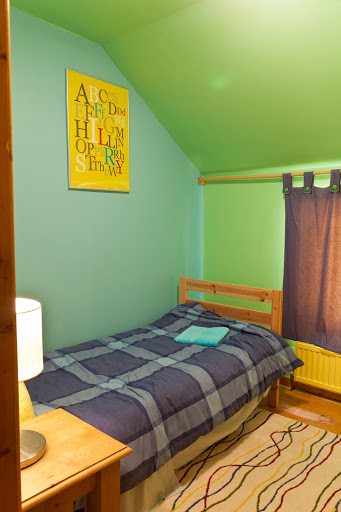 The Master bedroom has a king size bed, the other double room has two twin beds and there are two single rooms. 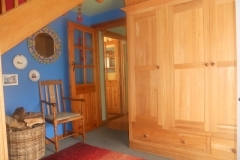 There is also ample storage room. 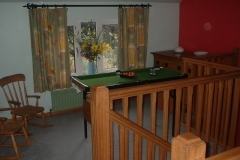 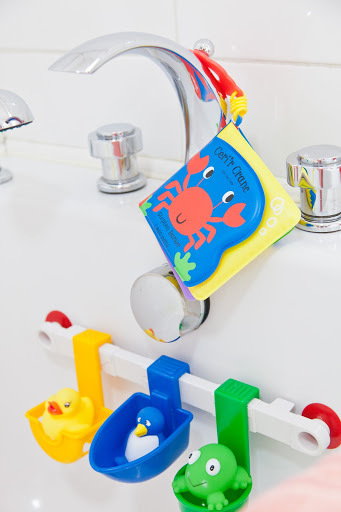 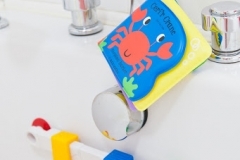 Travel Cot and Highchair available, plus toys, children’s books and games see details on Offer Page. 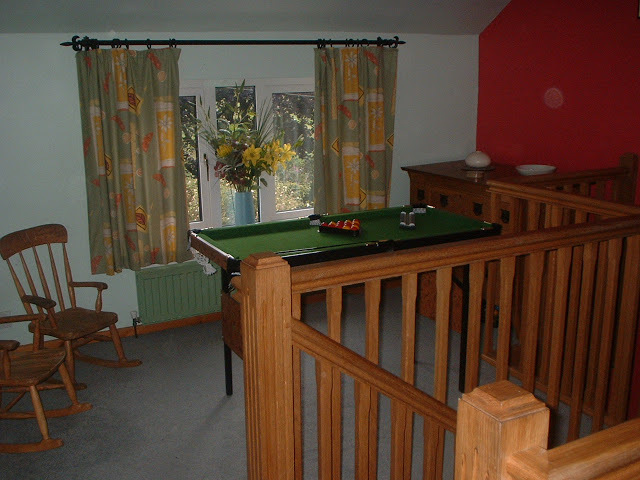 No pets or smoking allowed in the cottage.